Helps to protect public safety. 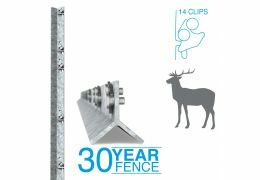 Deer fencing, when properly planned for, constructed and maintained, can be an effective way of controlling deer and allowing different land uses to coexist in close proximity. It also helps to protect public safety. 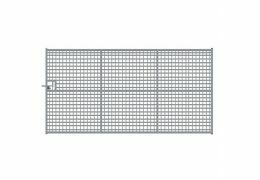 This netting features extra line wires for added security and protection. The finer mesh excludes the smaller species. We are able to manufacture a mesh size and height to your specification, (max height 2.6 metres). For deer farmers or large estates we have a dedicated trade division who can make a site visit to discuss your requirements. Please watch the short video in the Media tab above to see just how strong X fence is!